Winthrop Kellogg Edey was obsessed with clocks and watches. After amassing an imposing collection, he died a time artist. When Winthrop Kellogg Edey was a boy the innards of clocks amazed him. According to his obituary in The New York Times, the future collector of magnificent timepieces delighted in ripping clocks apart and examining all their bits. He fondled gears and levers and hammers and wheels and then put the clocks back together again. Edey always had less interest in the beautiful cases his clocks came in, his eulogist wrote, than in “the timeless beauty he saw in their intricate inner workings.” When Winthrop K. Edey died in 1999 at the age of 61, he was an internationally renowned expert on antique clocks, and had put together one of the most impressive collection of timepieces in the world. But while other curators and collectors found their delight in painted enamel dials, delicate engravings and neoclassical nudes hanging from pendulums, Edey was most interested in time itself. Edey’s grandfather was Morris W. Kellogg, a New York City industrialist who made his fortune building oil refineries in the 1920s and atomic bomb plants during the Second World War. When Winthrop K. Edey was born he inherited great quantities of money and therefore also great quantities of free time. While he was fascinated by the “mechanical clarity of antique clocks,” nothing fascinated Edey so much, said his obituary, as the minutiae of his own life. Winthrop K. Edey began keeping a diary at age six. 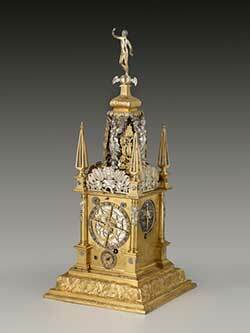 He began a clock book as a teenager, faithfully recording the growth of his collection. “Clock Book,” he wrote on week before his 13th birthday. “Started Sunday, June 11, 1950. At the present time I have: 17 clocks, 4 watches.” Edey went to Amherst College and studied at the Institute of Fine Arts at New York University. He decided eventually on the life of a bon vivant, a flaneur who promenaded around Central Park in Bermuda shorts and black socks and wingtips, resisting the lure of professionalism that might keep a man in his position occupied — with a museum directorship, perhaps, or a position in the academy. Edey kept company with famous artists like Mapplethorpe and Warhol, hung around the shops of elderly antiquarians, studied Egyptology. Time did not organize Edey’s life the way it does the life of a workingman. For the workingman, the clock is a god, the schedule of work an eternal merry-go-round. Winthrop K. Edey was never on the merry-go-round, did not ever know the merry-go-round’s spin. Time, for Edey, was a thing to be pulled apart and appreciated from a distance. He was a man with the luxury of aestheticizing time. And yet Edey lived in New York City, the self-proclaimed city that never sleeps. In other words, a city locked in the stranglehold of time. Edey worked his way out of this stranglehold by crafting the time of the city around his life the way a weaver spins designs into cloth. He became hyper-punctual, even though he had no place to go. 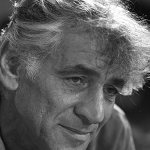 He recorded every detail of this punctilious life in his diary for over 50 years. He rose each day at 5 p.m., took his breakfast at suppertime with friends, and then returned to his townhouse on the Upper West Side to indulge his obsessions long into the night. He rarely went to bed before 4 a.m. and friends said they were forbidden to call before 2 p.m. Every small thing that happened to Winthrop K. Edey was potential material for reflection. “Mr. Edey could devote several pages to the ramifications of a friend’s failure to return a phone call,” his obituary said. Edey had a passion for photography and particularly liked taking shots of New York City street life, freezing moments of the merry-go-round for his pleasure. And, of course, Winthrop K. Edey became a connoisseur of clocks. 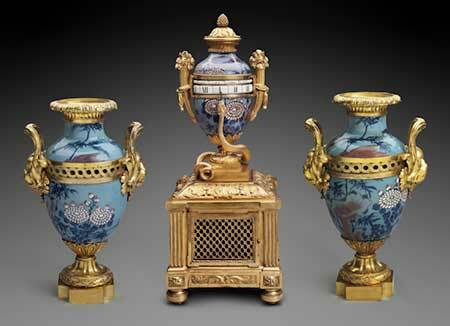 Clocks were Edey’s obsession — French clocks in particular. 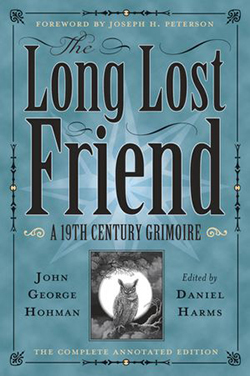 He wrote articles on the subject as well as two books: French Clocks and French Clocks in North America. Thanks to the beneficence of Winthrop K. Edey, the Frick Collection in New York now has one of the most important collections of timepieces in the United States. Edey left his collection of what would eventually become 38 watches and clocks dating from the Renaissance to the early 19th century to the Frick when he died. 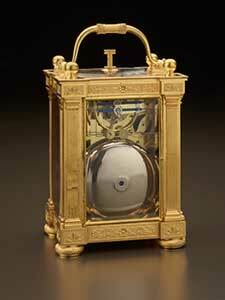 The Frick’s current exhibit, Precision and Splendor, displays 11 of these clocks and 14 watches. The timepieces are tucked away in a small bright room at the back of the museum, past the Turners and Holbeins and Bouchers and Vermeers. They are truly delightful, from their tiny gears and springs to their elaborate cases. 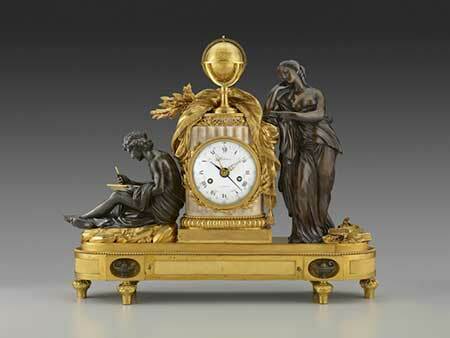 One feature in the exhibit is an 1811 gilt-bronze carriage clock crafted by the Abraham-Louis Breguet. Breguet was the most renowned horologist of his day; his timepieces were owned by Louis XVI, Louis XVIII, Marie-Antoinette, King George IV, Napoleon Bonaparte, and Alexander I of Russia. The carriage clock is done in the Empire style, with little bronze lion heads at the top and classical columns on the sides. As its name suggests, the carriage clock was made to be attached to a carriage’s insides, providing a wealthy traveler with necessary chronological information — the date, the phase of the moon. Also in the exhibit is an 18th-century bronze mantel clock flanked by two half-naked lounging figures representing Study and Philosophy, and a clock set with three vases of rare Chinese porcelain. 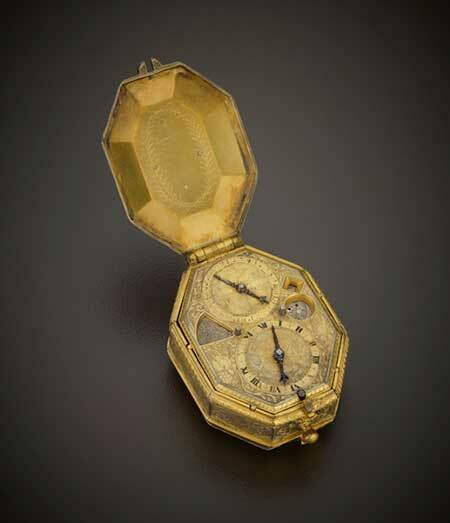 There is a 17th-century silver calendrical and astronomical pendant watch and a gold repeating verge watch with a miniature enameled rose garden on the back. The timepieces in Precision and Splendor are ornaments to a life of leisure, status symbols for the aristocrat. But more than anything else, Edey’s clocks exude confidence. It is the confidence of objects that are evidence of man’s dominance over natural forces, like airplanes and nuclear power plants. There is a little arrogance in every clock. Clocks count time, but they also seize time, control it, put its power into the hands of people. This arrogance is especially profound in Winthrop K. Edey’s highly aestheticized timepieces, which were, after all, the clocks of kings. By making time into art, Edey’s clocks take away time’s arbitrary power over human life. 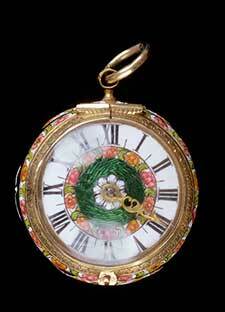 Time is gilded and decorated with enameled flowers and animal motifs. It is made into an accessory. The owners of Edey’s clocks were no slaves of time. They put their charming clocks on the mantels of their chateaus and listened to them sing, and perhaps for a moment thought that they could even escape eternity. The clocks of Winthrop K. Edey are not merely artful. They are freedom from time’s dominion. And yet, whenever we try to control time, we take a risk. We take time out of the world and put it into a machine. We stare at the calendar, counting the days until autumn even though we know that autumn is here without the calendar. We can feel in our nostrils the change in the quality of autumnal air. We sit at our desks and wait for the clock to tell us it is time to go home even though we know when it is time to stop working. In the clocks of Winthrop K. Edey, time is not a lived experience. 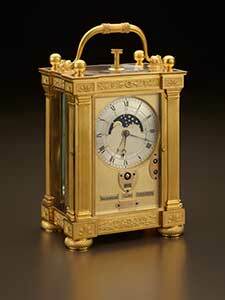 Empire-era French peasants would never be able to afford a Breguet clock, nor would they need one. They could count the seasons with their eyes. 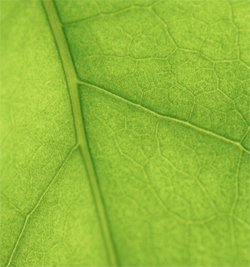 Being in sync with time is a necessary part of agricultural life, counting the hours and minutes is not. You’ve heard the phrase, “a man out of step with his time.” We use it to talk about a man that should have existed in another era as, for instance, a man with Victorian sensibilities who happens to live in the present day. But we also use the phrase to talk about a man who exists outside of time altogether. Winthrop K. Edey was such a man. He was hyper-punctual but highly anachronistic. Untimely. The qualities were two sides of the same coin. “Mr. Edey… favored old-fashioned fountain pens over ballpoints and maintained his town house in such 19th century purity that it still has its original working gas jets, tapestries, stove, and marble-slab kitchen table,” said The New York Times. When Edey wanted to take a snapshot he “would lug a huge wooden turn-of-the-century view camera complete with tripod and 11-by-14-inch glass plates” out into the streets. It was a lifestyle of a man living just to the side of time. And the more punctual Edey made his life, the more he arranged time according to his individual whim, the less he was part of the ordinary world. He was like a monk except that a monk arranges his life around a schedule that he does not choose. Winthrop K. Edey’s time was solely his own — or, at least, he tried to make it so. Orson Welles once said that an artist is always out of step with time. This truth is both the beauty and melancholy of the artist. Winthrop K. Edey was an artist of time. He was thus a man destined to be not merely out of step with time, but dislocated in it.